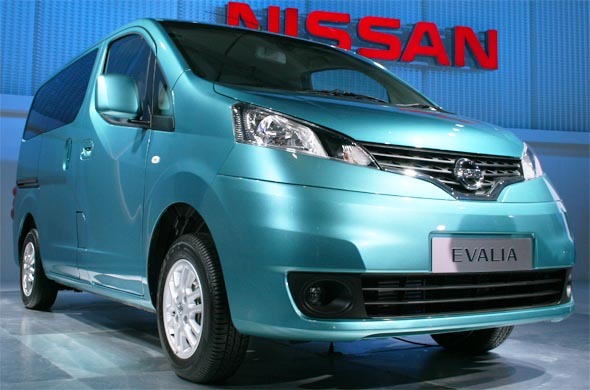 Nissan is going to launch the Evalia MPV in India in September and we expect it to have a starting price of roughly Rs.8 lakh. The Evalia is going to be used as the official cab of New York, Tokyo and even London, where it will serve as an alternative to the iconic TX4 black cab. The Evalia has a very simple design theme with a short bonnet, conventional front doors and sliding rear doors. It sports sharp angular head lamps which give it some character. The large glass area of the Evalia helps make the otherwise boxy and mundane car look attractive. The tall stance and box like design of the Evalia will make it easier for drivers to maneuver through city traffic and parking in tight spaces. The Evalia’s highlight is the amount of space it carves out for its passengers. The MPV is 4.4 metres long, 1.88 metres high and 1.69 metres wide. Further it has a very long wheelbase of 2.73 metres, which is 95mm more than Nissan’s X-trail SUV. The Evalia we saw at the 2012 Delhi Auto Expo had enough space to carry seven passengers in exceptional comfort. In India the Toyota Innova had redefined the way people movers were designed and the Evalia could be the next big step. To find out more about the Evalia take a look at our Nissan Evalia Page. The Evalia will be powered by a 1.5 litre diesel engine with either 85 bhp of power or 108 bhp of power. The same engine already powers the Nissan Sunny, Micra and the Renault Duster. We expect mileage figures to be in the range of 13 – 18 kmpl. It may be able to give the Innova a run for its money if Nissan manages to price it smartly. 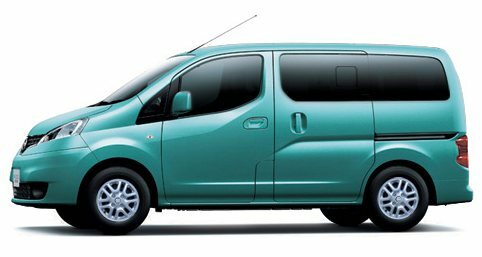 The Evalia has a lot going for it but in a country like India we expect it to be more popular as a taxi than a private vehicle.